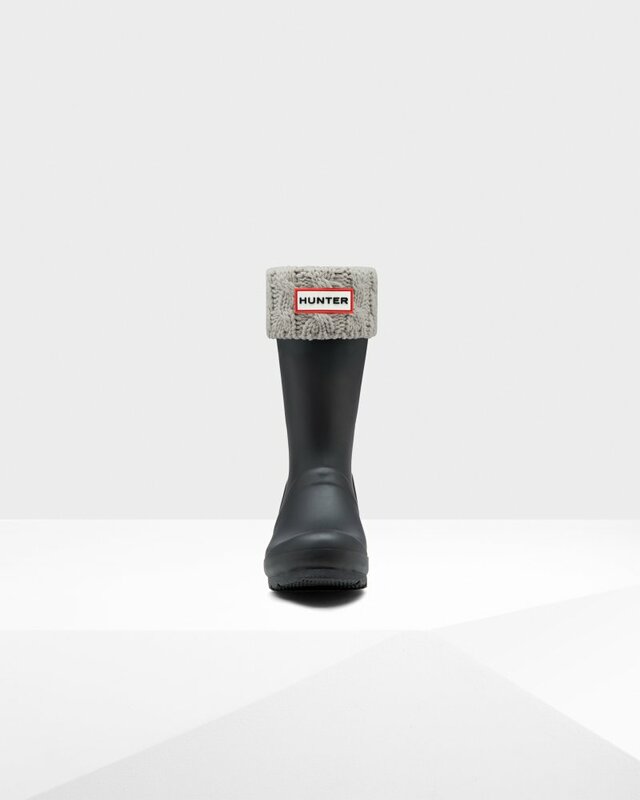 Keep tiny toes warm in Hunter Boots with these snug boot socks. Designed to fit comfortably inside the Original Kids Wellington Boot and enhance fit while adding comfort and warmth, these boot socks feature a cosy cable knit fold down cuff, neutral colourway and Hunter Original logo. Rated 5 out of 5 by Anonymous from Cute comfortable warm socks The socks just fit perfectly and look amazing. Besides that, they keep my feet incredibly warm. I don’t recommend going to snowy places without these socks. Rated 4 out of 5 by Anonymous from Fantastic. I bought as a Christmas present for my 2 nieces. They love them. The youngest even wears hers without her Hunter Wellies. Only thing I was slightly disappointed in was the delivery. But that was obviously the courier and not Hunter Boots directly. Other than great. I own a pair myself and the girls are right they are so comfy. Rated 5 out of 5 by Supernan from Great addition to the wellies! Bought these for my granddaughter to go with her red Hunter wellies as they were half a dozen too big and these really help with the girls and to keep her feet nice and warm.